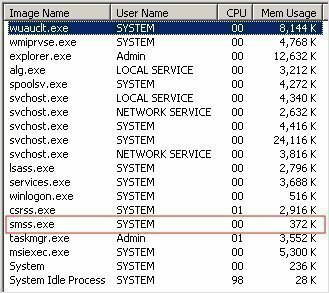 Manually removing spyware is not an easy task. Usually the best course of action to remove spyware from your computer is to download and install a free spyware removal tool that will do this job for you. However, sometimes a problem arises in which the spyware removal program is unable to delete the spyware files and they will have to be manually deleted. Because this involves finding files and deleting them, or making changes to a computer’s registry, manually deleting spyware should only be attempted by advanced to professional computer users. 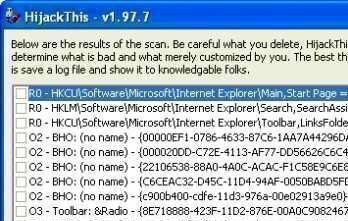 After your spyware removal program has failed to automatically remove the spyware, it is recommended that you reboot your computer and put it into “Safe Mode” by clicking F8 or Shift F8 simultaneously. By doing so, none of the spyware will be loaded into the computer’s memory. Clicking the “Start” button that is located on the bottom left hand corner of the desktop. From there, scroll the mouse up to the “Control Panel” button and double click this button. The Control Panel window will open, and provide you with a variety of tasks you can perform. The “Add or Remove Programs” window opens and provides you with a list of programs installed on your computer. 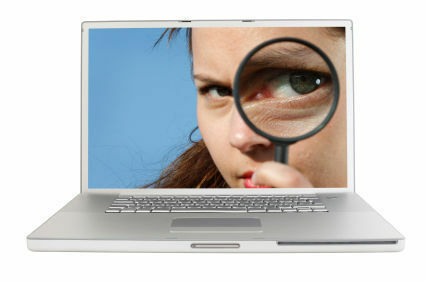 From here it is important to search for the spyware software that was installed onto your computer. Usually they will have names that are obviously associated with advertising such as Dealhelper or Bonzibuddy. You can highlight it by clicking it once. Then click the “Change or Remove” button, and follow the instructions to remove the spyware from your computer. Afterwards, it is recommended that the computer be rebooted again in normal mode. From this point, you can run your spyware removal program again to make sure your system was completely cleaned. Another way to remove spyware manually from the computer is to research on the Internet the files that are specifically installed with a known spyware program. From here it is just a matter of searching for these files, usually in your Windows “System” folder, and deleting them from there. This method may cause error messages to appear when Microsoft Windows starts up, as Windows may attempt to run programs that no longer exist. It is also popular for many advanced users to download HijackThis and install it onto their computer. HijackThis will return a list of all programs installed. You can also use it to manually remove registry entries installed by the spyware software. Start by opening the Internet Explorer browser. Click on the “Tools” button located at the top of left hand of the page. From this point it is necessary to double click on the “Internet Options” button, and a window will open up. From here click on the “Privacy” tab and scroll down to the “Edit” button at the bottom right side of the page. The “Per Site Privacy Actions” window will open and from here you can add the addresses of the websites that you which to block. Clicking “OK” twice will then save the changes you have made. If you’re really out of options with the existing install you could reinstall Winwodws. Just backup your files (you should have access to them if you can still boot it) to an external media and format your hard drive. Then install Windows anew. 205 queries in 0.473 seconds.